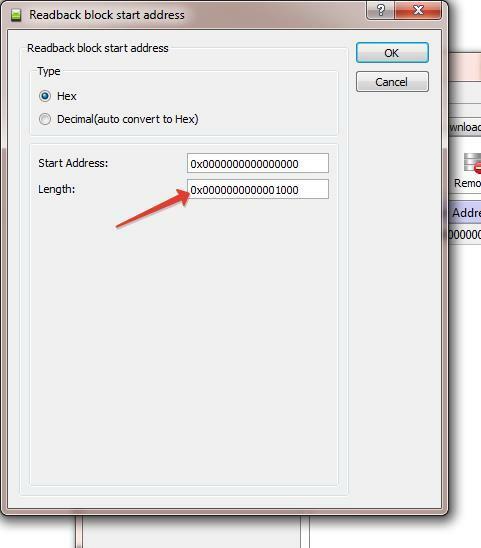 The tutorial below will enable you backup the entire firmware and save it in an SP Flashtool flash-able format. 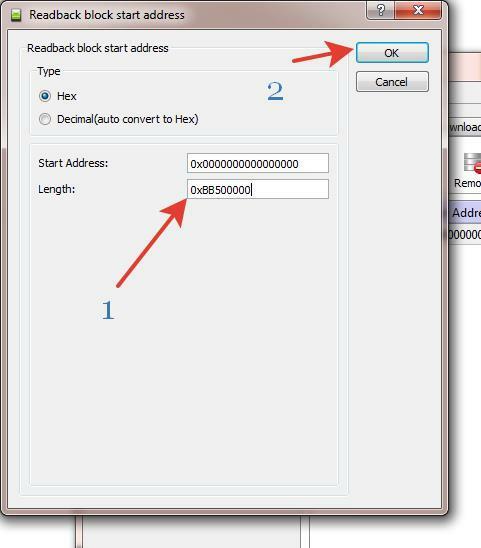 Requirements To get things ready for a successful MTK firmware backup, follow the instructions below. Before proceeding, make sure all the requirements above have been successfully passed or else you might get issues during the process. Step 1. 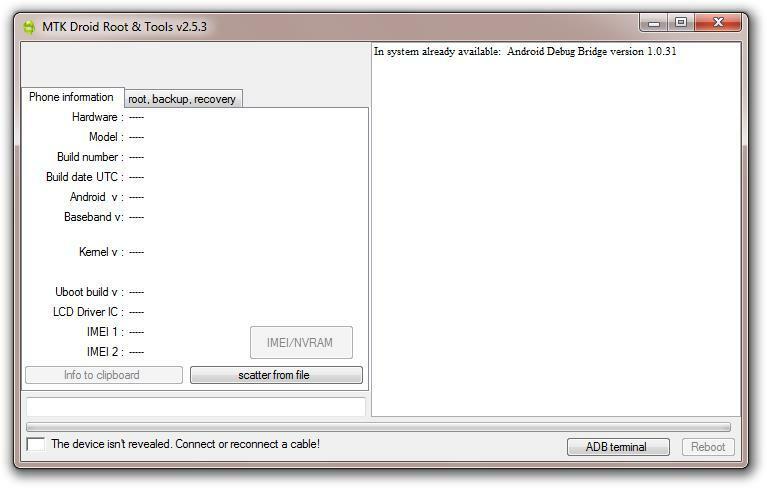 Unpack the MTK Droid Root & Tools v2.5.3 and SP Flashtool you downloaded above so as to access its contents. Step 2. 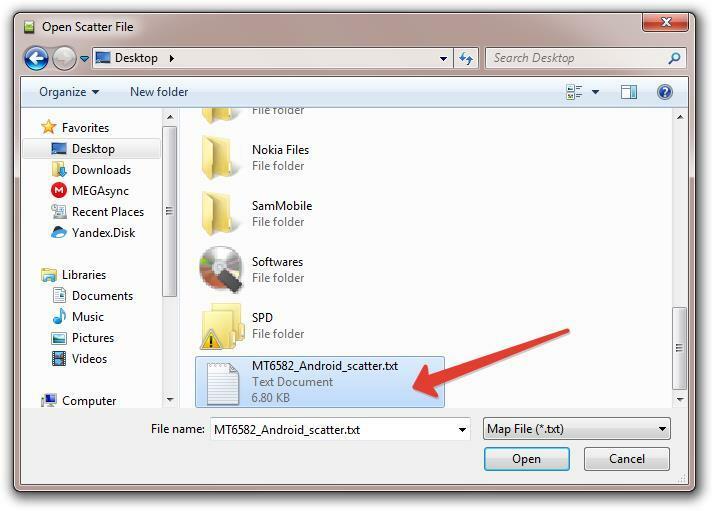 Open the MTK Droid Root & Tools folder and double click on the file named MTKdroidTools.exe MTK DroidTools should now open. Step 3. 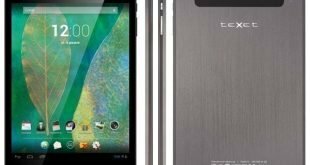 Turn on USB debugging on your MTK Android and connect it via a good USB cable to your PC. MTKDroid Tools will now detect your phone and display its specs. Note: Make sure USB debugging is on and accept any prompt. The most needed file for the backup; Scatter file, can now be created automatically. Step 5. Under Block Info, click on Create scatter file. Step 6. Select a convenient location to save the scatter file. Step 7. 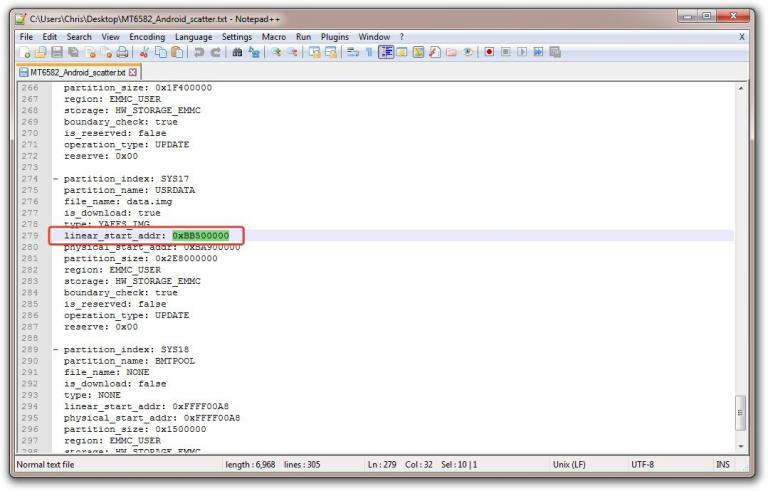 Open SP Flashtool folder and launch flash_tool.exe SP Flashtool should now open. Step 8. Click on folder icon with Choose, just after Scatter-loading file. Now locate the scatter file you saved in Step 6 and click Open. Step 8. After the scatter file has been loaded, Click on the Readback tab. Step 9. Click on Add. A scattter value for readback should now be loaded. Step 10. Double click under the File tab. Step 11. Now you are to input the address of the last partition from the scatter file you saved. Note: Make sure Hex is ticked and also leave the Start Address as it is. Step 13. Scroll down to the last partition, mostly FAT or User Data and then, carefully copy the value after linear_start_addr: which starts with 0x…….. Step 14. Now paste the value you copied in the box just after Lenght. It should now look like the image below. Select OK to proceed. Step 15. Click on Readback. Turn off your phone and then connect it to the PC. 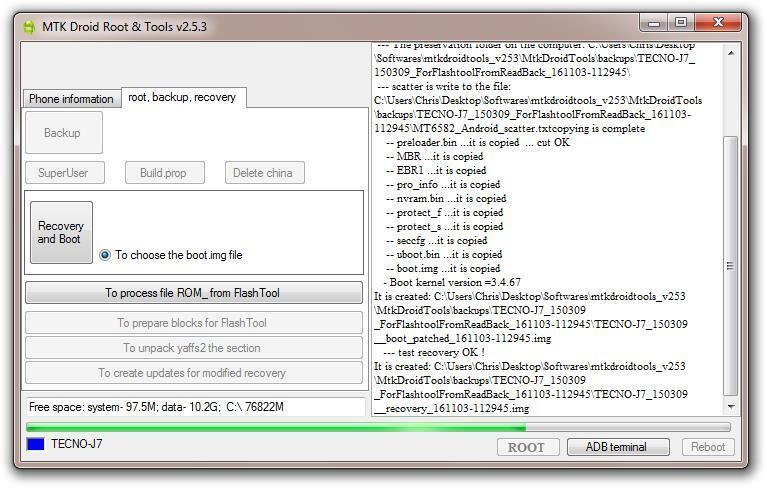 SP Flashtool will start reading the entire firmware / ROM. 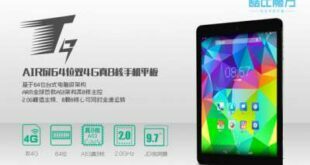 It is going to take a while depending on the overall size of the firmware. Note: Make sure you do not interrupt it or else you might end up bricking the device. disconnect your phone and turn it on. Now the ROM has been dumped with a format ROM_. You can change the 0 to any other number or leave it as it is (ROM_0). 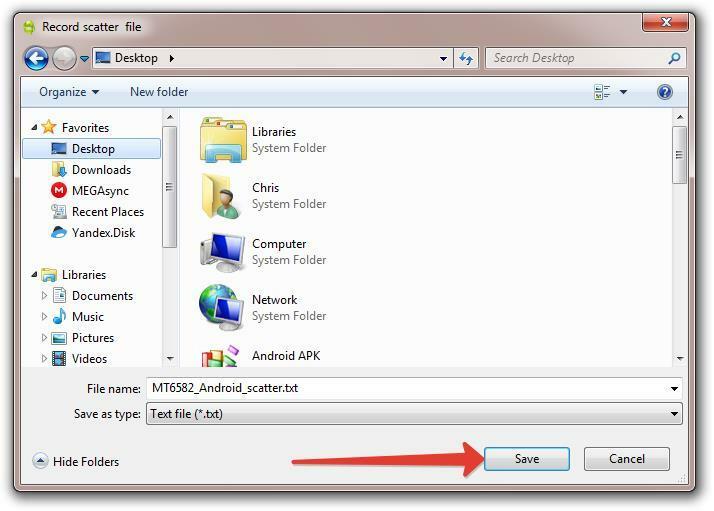 Select the location you wish to save the ROM_0 file and click Save. Step 17. Launch MTKDroidtool.exe in Step 2 and connect your phone. Click on the root, backup, recovery tab. Step 18. 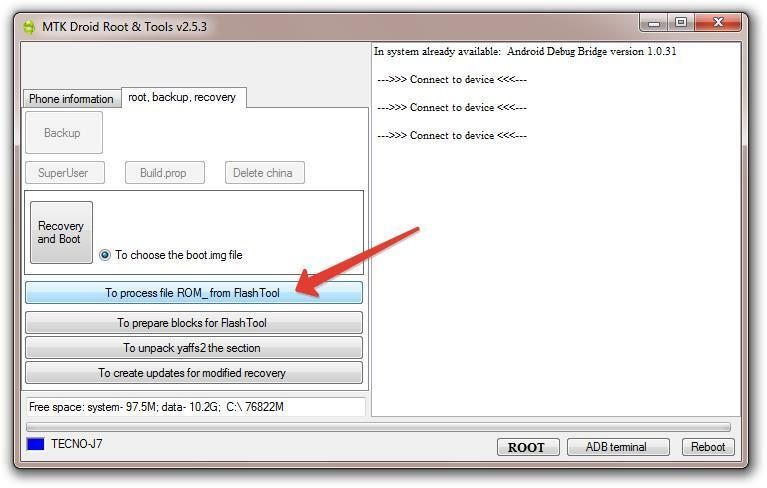 Click on the option To process file ROM_ from flashtool. Step 19. 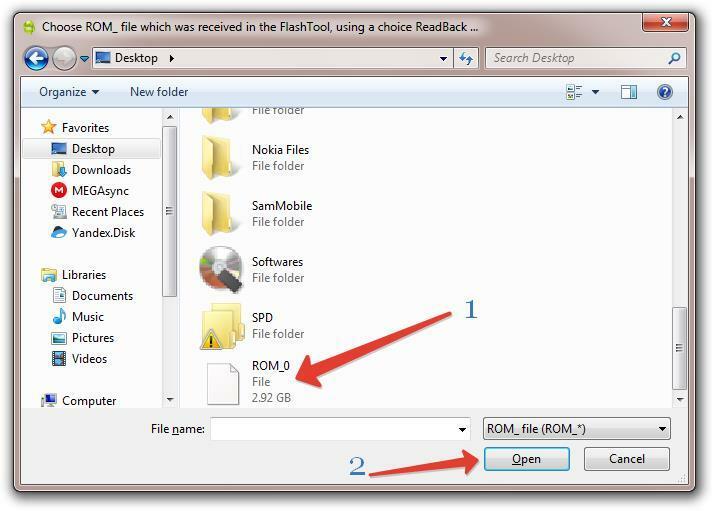 Find the ROM_ file you saved, select it and click Open. Step 20. 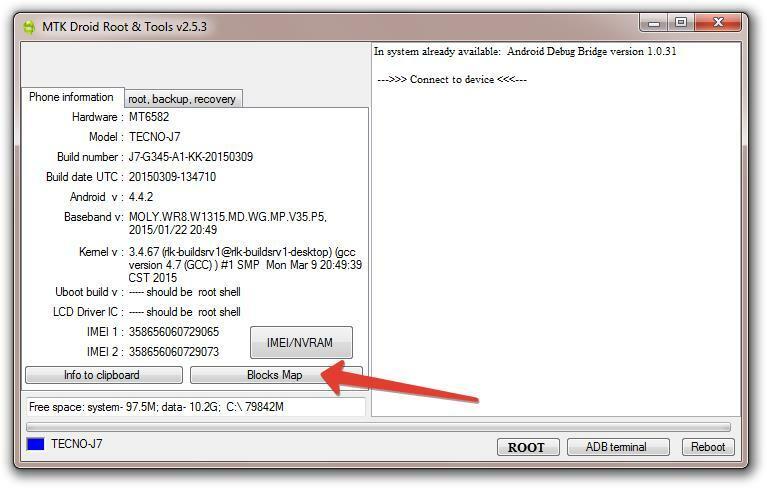 MTKDroid Tools will start unpacking the ROM_0 file from flashtool. Note: If you get a prompt asking you to Make CWM recovery, click Yes for the tool to port CWM for your phone or click No if you wish to retain the stock recovery. Its also going to take a while and you should see task is complete when all the files / partitions have been successfully unpacked from the ROM_ file. Step 21. The firmware would be automatically saved in the MTK Droid Tools folder. MtkDroidTools > backups. 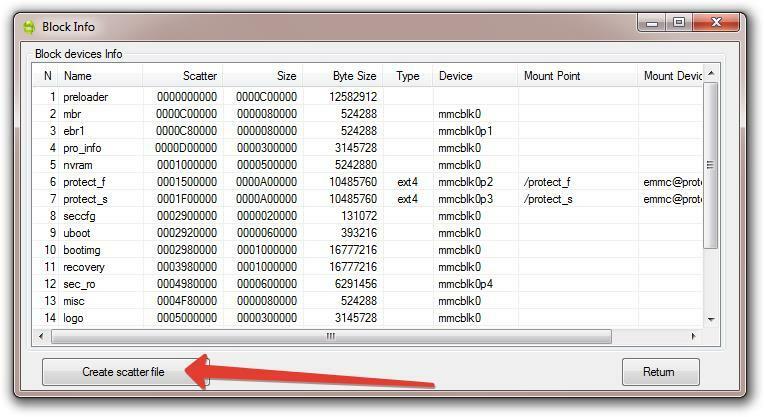 There you will find the firmware with its scatter file which you can use in future to fix your MTK phone or another of the same model. 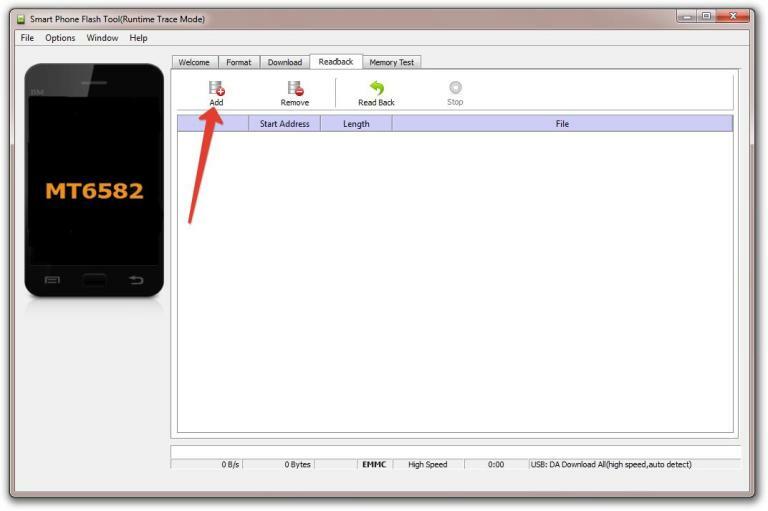 That’s all you need to do to backup your stock MTK Android firmware.